Salem Housing Authority hereby gives notice to all active applicants currently on the Southfair Apartments waiting list and all others that Salem Housing Authority has revised the Southfair Apartments Tenant Selection Plan. The revised Tenant Selection Plan is accessible through this link. The revised Tenant Selection Plan can also be located on our website at https://www.salemhousingor.com/plans-and-policies. Copies of the revised Tenant Selection Plan will be provided upon request. 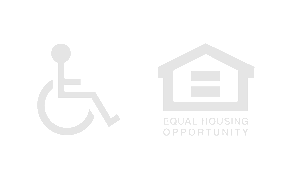 For more information or to request a copy of the revised Tenant Selection Plan, contact Salem Housing Authority at 360 Church ST SE, Salem OR 97301, (503) 587-4815, TDD Users Dial 711, or email housing@salemhousingor.com. The Housing Authority of the City of Salem (“SHA”) is informing its applicants, program participants, tenants, and other individuals that conduct business with SHA of a data security incident that may have involved personal information. At SHA, we take the privacy and security of personal information very seriously and are informing impacted individuals about steps that can be taken to protect their personal information. What Happened? On November 20, 2018, SHA received an email from a known associate that contained an email attachment that was opened and resulted in the download of two viruses. The same day, SHA disabled all SHA staff accounts and forced password resets on all accounts. SHA’s internal IT Department, in conjunction with the City of Salem’s IT Department, immediately began an investigation to determine what had occurred and whether personal information may have been affected. All computers were subsequently cleaned of all infection. On or around November 30, 2018, SHA was informed that personal information may have been affected. SHA determined that the incident was restricted to SHA staff email contacts. What Information Was Involved? The following information may have been affected: names, phone numbers, email addresses, and other contact information that was stored in SHA staff’s Microsoft Outlook contacts. Other information, such as personal addresses, bank account information, dates of birth, protected health information, and social security numbers was not released. What Are We Doing? SHA took the steps referenced above in response to the data security incident. We are also providing impacted individuals with additional information about steps to take to protect their personal information. What You Can Do: We are providing the follow the recommendations to assist you with taking steps to protect your personal information. Additionally, you may contact SHA’s Compliance Manager, Adam Mentzer, JD, at (503) 587-4815 or at amentzer@salemhousingor.com to obtain information about the incident. Any updates will be provided on our website at https://www.salemhousingor.com/pressrelease/. Beware of Phishing or Suspicious Emails Purporting to be from SHA Staff: As a result of the security incident, you may receive suspicious or phishing emails purporting to be from SHA staff. These emails may request that you pay an invoice or may request other information from you. These emails may contain a signature block with the name of SHA staff as well as an out-of-state phone number. Please note that SHA does not send invoices by email. (4) If you have any concerns of the authenticity of an email, please contact the SHA staff member directly at their email or phone number provided on our website, www.salemhousingor.com, to confirm that the email is legitimate. Review Your Account Statements and Notify Law Enforcement of Suspicious Activity: As a precautionary measure, we recommend that you remain vigilant by reviewing your account statements and credit reports closely. If you detect any suspicious activity on an account, you should promptly notify the financial institution or company with which the account is maintained. You also should promptly report any fraudulent activity or any suspected incidence of identity theft to proper law enforcement authorities, your state attorney general, and/or the Federal Trade Commission (“FTC”). Even if you do not find any suspicious activity on your initial credit reports, the FTC recommends that you check your credit reports periodically. Personal information is sometimes held for use or shared among a group of thieves at different times. Checking your credit reports periodically can help you spot problems and address them quickly. Fraud Alert: You may want to consider placing a fraud alert on your credit report. An initial fraud alert is free and will stay on your credit file for at least 90 days. The alert informs creditors of possible fraudulent activity within your report and requests that the creditor contact you prior to establishing any accounts in your name. To place a fraud alert on your credit report, contact any of the three credit reporting agencies identified above. Additional information is available at http://www.annualcreditreport.com. Security Freeze: In some U.S. states, including Oregon, you have the right to put a security freeze on your credit file. By placing a freeze, someone who fraudulently acquires your personal identifying information will not be able to use that information to open new accounts or borrow money in your name. Additionally, a security freeze is designed to prevent potential creditors from accessing your credit report without your consent. Keep in mind that when you place a freeze, you will not be able to borrow money, obtain instant credit, or get a new credit card until you temporarily lift or permanently remove your freeze. You must separately place a security freeze on your credit file with each credit reporting agency. Additional Free Resources: You can obtain information from the consumer reporting agencies, the FTC or from the Oregon Department of Justice and Attorney General about steps you can take toward preventing identity theft. You may report suspected identity theft to local law enforcement, including to the FTC or to the Attorney General in your state. You also have certain rights under the Fair Credit Reporting Act (FCRA), including the right to know what is in your file, to dispute incomplete or inaccurate information, and to have consumer reporting agencies correct or delete inaccurate, incomplete, or unverifiable information. For more information about the FCRA, and your rights pursuant to the FCRA, please visit http://files.consumerfinance.gov/f/201504_cfpb_summary_your-rights-under-fcra.pdf. Salem Housing Authority (SHA) will close the Section 8 Housing Choice Voucher (HCV), waiting list effective 11:59 p.m. Saturday, June 30, 2018 until further notice. All online waiting list applications need to be submitted before July 1, 2018. New waiting list applications will not be accepted while the waiting lists are closed. Incomplete applications received by SHA before July 1, 2018, but not completed by July 16, 2018, will not be added to the waiting list. All applicants currently on the waiting list will be processed according to SHA policies and procedures. Applicants are placed on the waiting list by date and time of application and in accordance with the Section 8 Administrative Plan. Waiting list updates on current applicants will continue to be taken while the waiting list is closed. It is important for applicants to keep their address updated with SHA and to respond to any notices sent by SHA. For more information, contact the SHA office at 360 Church ST SE, Salem OR 97301 or email housing@cityofsalem.net. Salem, OR - Salem Housing Authority (SHA) was awarded a $150,000 grant by the Meyer Memorial Trust Foundation. The grant supports the Homeless Rental Assistance Program (HRAP) by funding a full-time Service Coordinator Case Manager for two years. The Service Coordinator will coordinate community service providers to help meet the diverse needs of the chronically homeless. This coordination is fundamental to achieving positive outcomes for homeless individuals by connecting them to available programs, resources and social services. Launched in July 2017, HRAP is one of the City of Salem’s key strategies to reduce the number of chronically homeless individuals in Salem. With a goal to house 100 of the “hardest to house” homeless individuals in its first year, the Homeless Rental Assistance Program is the largest “Housing First” program in Oregon. The program combines rental assistance, intensive case management services and funding to reduce other barriers to client success. The HRAP population faces significant cases of untreated mental illness, addiction disorders, and chronic health conditions worsened by lengthy periods of homelessness. These complex needs, along with pre-existing barriers to housing, such as criminal history, evictions, and poor rental history, all contribute to a uniquely challenging set of problems for the HRAP client. The Service Coordinator Case Manager will be responsible for weaving together the wraparound network of clinical, treatment and supportive services to empower the homeless client to establish and maintain long term housing stability. To learn more about the Homeless Rental Assistance Program, please refer to https://www.salemhousingor.com/partners/ or contact Andy Wilch, 503-587-4819. Si necesita ayuda para comprender esta información, por favor llame 503-588-6368 opción 2.